Neon Lights. Dynamic Camera. Action. Sit back and enjoy an animated wild ride through neon signs, miniature dioramas, and game art, as we celebrate the rich catalog Xbox Game Pass has to offer. For the fourth year in a row, our partners at Ayzenberg Group and Microsoft came to us to create content for their massive E3 showing. 1. Create an animated extension of the live-action “drive-thru” campaign. 2. Showcase current and upcoming titles in the Xbox Game Pass catalog. 3. Strategically align and sync with the announcements made by Xbox at E3 2018. Our task was to build on the current Xbox Game Pass campaign and announce new game titles. So we developed an expansive 3d animated world based off of the original drive-thru themed set. We began by building out dozens of lightbox menus to feature game art. These served as the primary architecture for the camera to fly through. To bring a layer of fun to the narrative, we designed and animated playful neon signs that were based on game content. This filled our scenes with volumetric colored lights and brought depth to our shots. 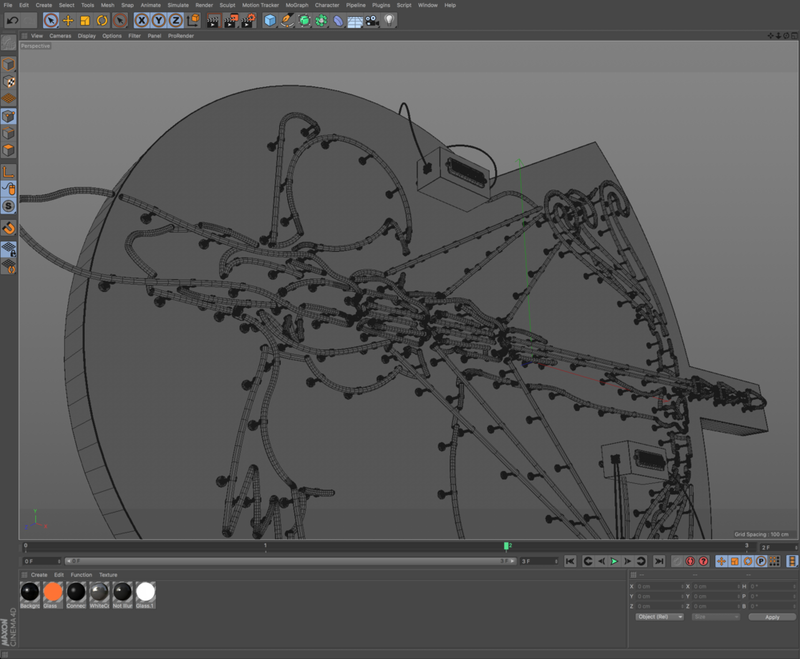 We also used these animations to motivate the camera, driving us from scene to scene. 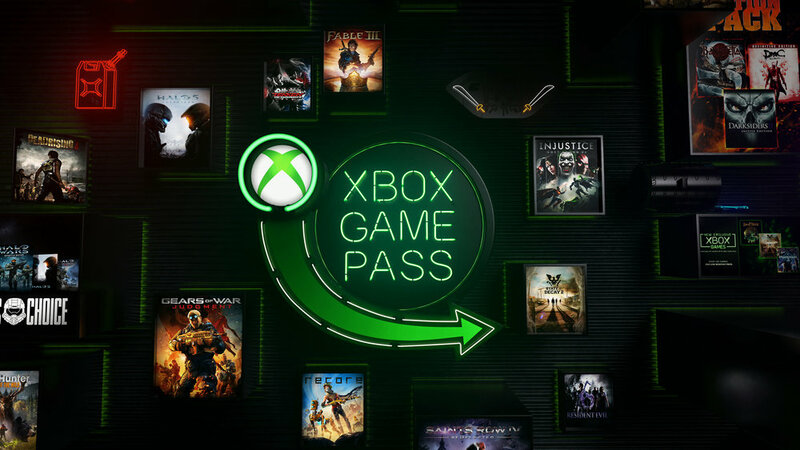 Each piece of new content coming to Xbox Game Pass were huge announcements. We had to devise a way to treat these titles with extra prominence. To showcase these, we designed elaborate dioramas centered around characters, which told small stories of each game. To intensify the excitement, we created dynamic camera transitions that weaved through each set. This created a dramatic reveal to announce each game. To put together a huge show like E3 requires intense coordination between many teams. Going into this project, we knew that the content was going to change constantly throughout the process. We had to stay flexible and develop some modularity in our approach to hit the moving targets. To kick the process off, I started by designing the frames in Cinema 4D and Octane to quickly visualize the aesthetic and key moments for the spot. This served as an anchor for the direction of the entire video. From there I worked with a storyboard artist to map out a sequence and immediately moved into creating an animatic with my right-hand man, John Robson. Within a matter of days, we were off to the races. From there, we assembled a senior team of 3d artists and utilized the power of emerging technology and software that allowed us to stay very agile. We designed each scene in Cinema 4D and used some procedural asset creation that allowed us to swap game artwork quickly. To create highly-polished renders at exceptional speed, we used the GPU-based software, Redshift, to light and render our scenes. This allowed us to achieve a desirable look, with very little need for additional composting work on the back-end of the project. We animated everything in Cinema 4D, and used Redshift to light and render our shots. The piece debuted during Microsoft’s E3 2018 showcase. 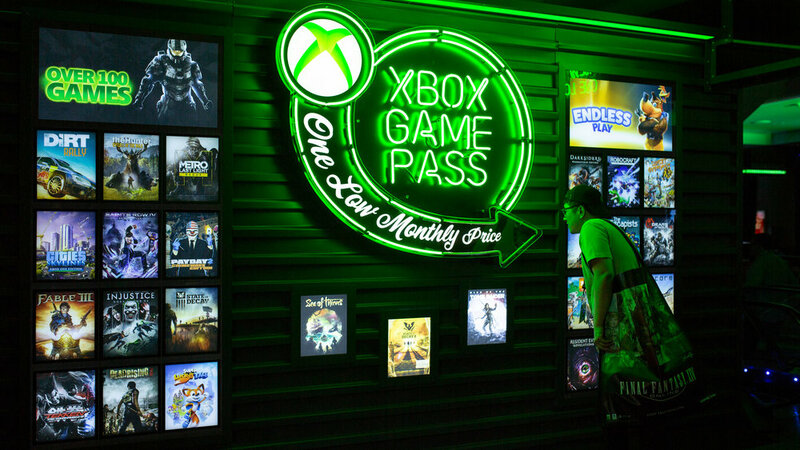 It lived alongside a fantastic brand activation experience at the Microsoft Theater in downtown Los Angeles and yielded positive feedback from gamers online and on the ground at E3. During E3 2018, the Microsoft Theater hosted the Xbox Experience which debuted our video alongside a physical brand activation expereince.